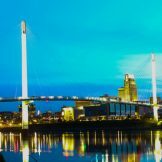 In an interview with GovLoop, CIO of Nebraska Ed Toner shared the lessons he learned as a fairly new public servant coming into government. With more than 20 years of private industry experience, Toner also discussed how his team successfully implemented hybrid centralization as part of their IT consolidation efforts. 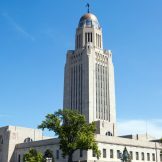 In this interview with Nebraska CIO, Ed Toner, learn how the state is saving costs and driving efficiencies by using hybrid centralization to consolidate IT.